Hi. I’m Dave Smith, and Smittybread is my hobby, my passion and, if all goes according to plan, my livelihood in the not-too-distant future. 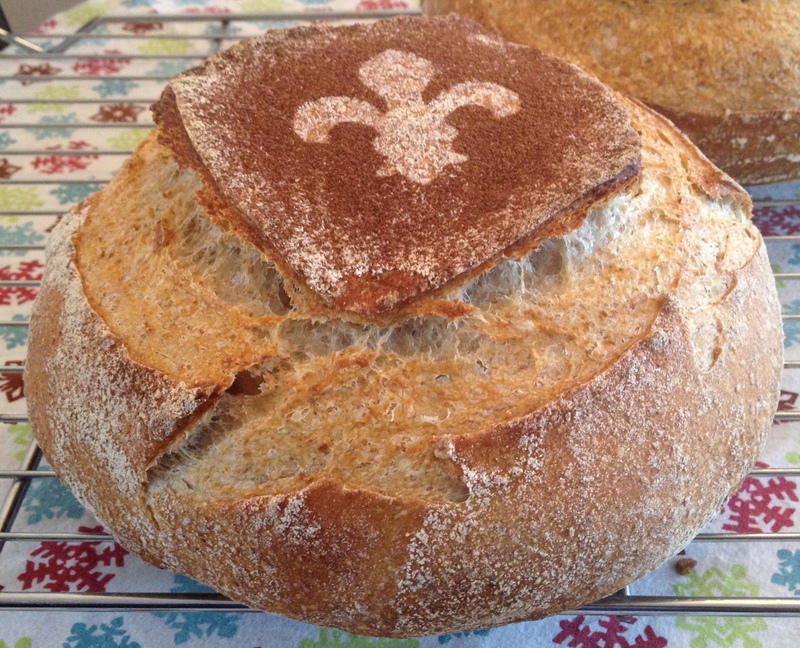 For the past few years I’ve been spending increasing amounts of time in my kitchen handcrafting breads of all kinds, a passion that eventually led to sourdough breads. I’m not just talking about tart San Francisco-style sourdough bread that makes your lips pucker but about a family of breads that rely on naturally occurring yeasts for their rising power, their complex flavors and their remarkable texture and color. 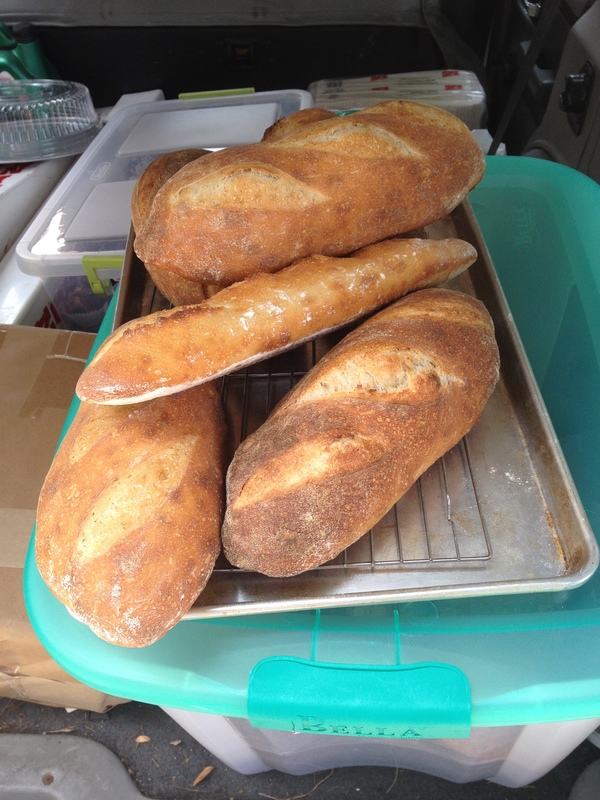 I make other breads too, such as ciabatta, pizza, French baguettes, butter rolls and burger buns, and laminated pastries such as croissants and Kouign-Amann, a personal favorite. But sourdough is one that wakes me up in the middle of the night thinking “How can I improve this formula?” or “Did I remember to feed the starter?” Every loaf is a little like a child: unique, imperfect, intrinsically valued. But unlike children, you can eat them, give them away or sell them. 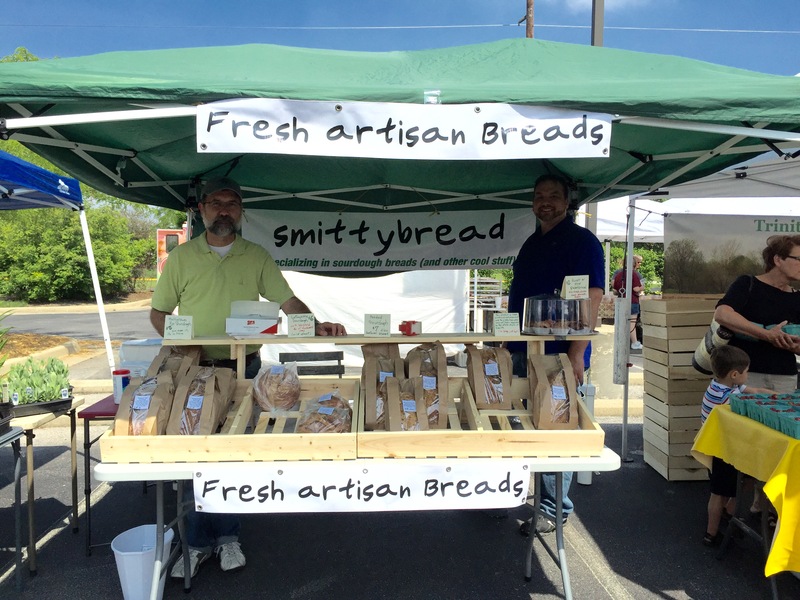 I hope to someday soon begin offering Smittybread to a wider circle than just my close friends and family — through farmers markets, roadside stands or by subscription. If the market is favorable, perhaps a bakery cafe is just around the corner. Hey, if you can make bread outta nothing but a little flour, water, salt and freely occurring yeasts, anything is possible. Stay tuned to this website for more Smittybread news. Until then, let’s get something started!